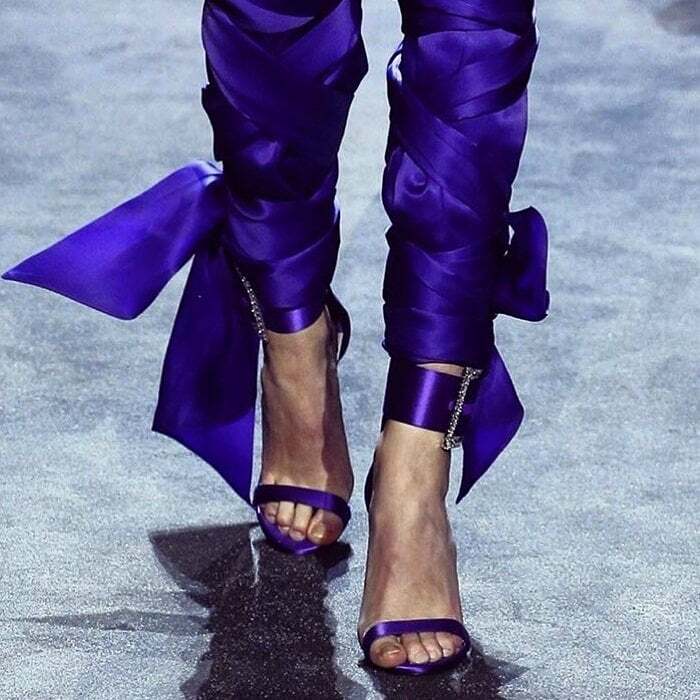 Alexandre Vauthier, a French haute couture fashion designer, honed his skills as a couturier before teaming up with Jordanian / Romanian footwear designer Amina Muaddi to create his eponymous shoe collection. It fuses his penchant for intricate detailing with luxurious fabrics. 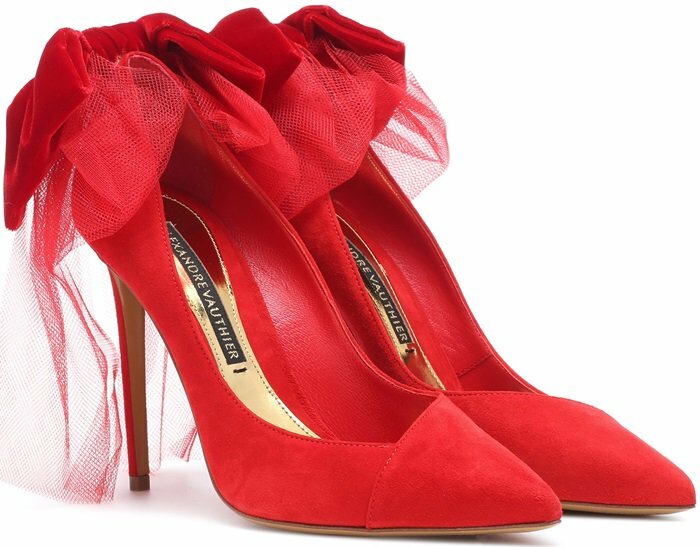 You can buy Alexandre Vauthier shoes at Mytheresa, Farfetch, and Net-A-Porter. Born in Agen in southwestern France on November 30, 1971, Alexandre graduated from ESMOD in 1994, a French private school of fashion founded in 1841. After working with Thierry Mugler and Jean Paul Gaultier, he founded his own fashion brand in January 2009. Each shoe pair is made in Italy and embellished with everything from dramatic bow ties to light-catching Swarovski crystals. Kendall Jenner, Cara Delevingne, and Rita Ora are just a few of his stylish celebrity fans. You can see them below wearing his spectacular boots, heels, and sandals! Singer Ciara walked the red carpet at the American Music Awards last year in these statement boots. Updated for Pre-Fall ’18 in patent-leather that nods to the season’s 80’s trend, this knee-high pair is set on a pin-thin 120mm heel and has a sleek pointed toe. Everything about the designer’s Spring ’18 collection exudes ’80s glamour, from the silhouettes and embellishments to the fabrics. 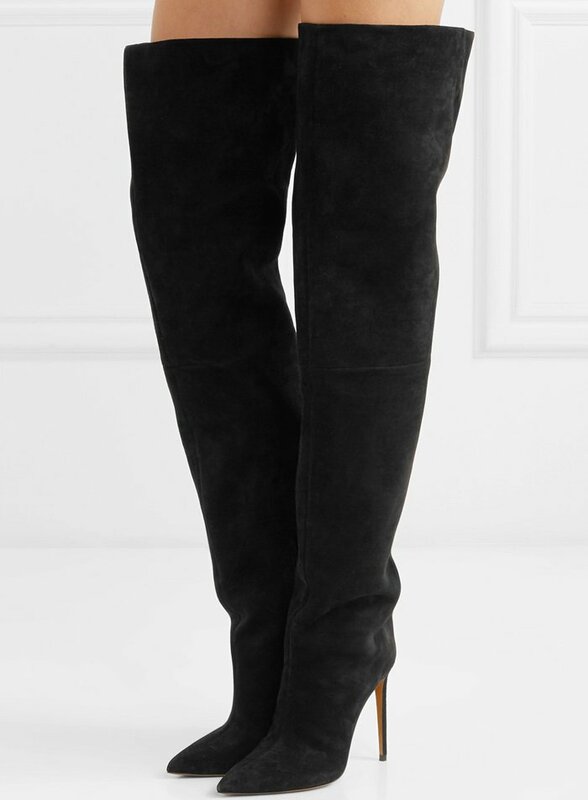 Made from suede that’s designed to slouch, these boots rest on a 100mm heel and have a flattering pointed toe. 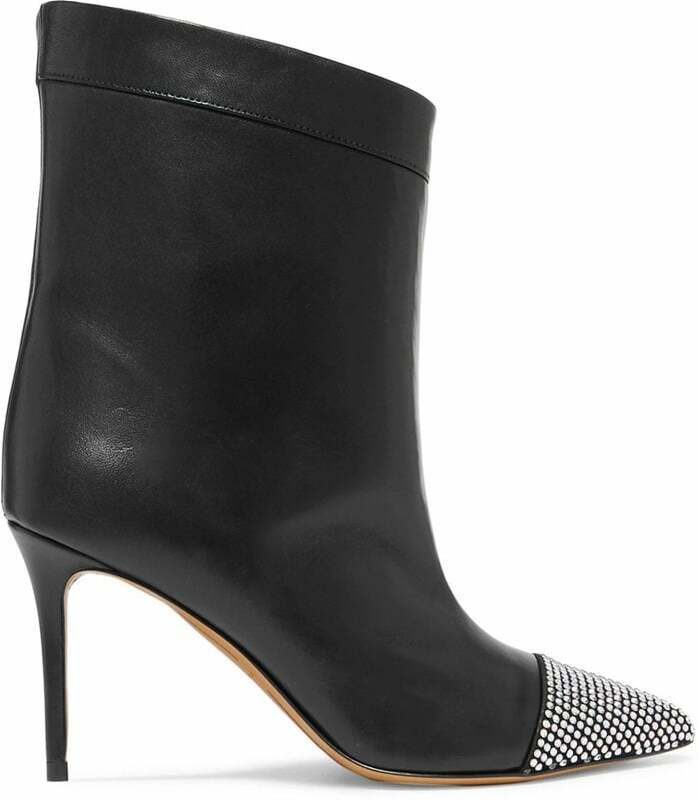 Alexandre Vauthier’s muse is the kind of woman who’ll wear crystals head-to-toe, so don’t be afraid to wear these ‘Cha Cha’ boots with even more bling. 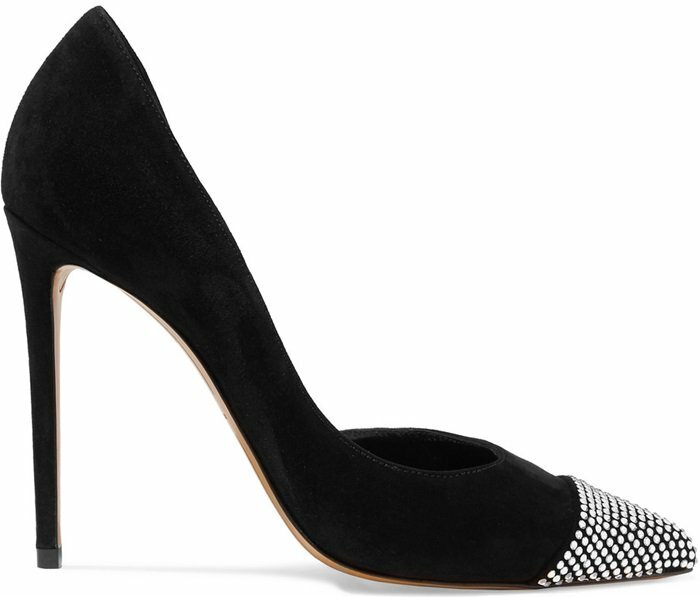 Made in Italy from smooth black leather, they’re encrusted with glistening stones at the pointed toe cap. All eyes were on Bella Hadid as she closed the show at Paris Couture Week for Alexandre Vauthier – she glided down the runway in a stunning gown and these ‘Yasmin’ sandals. 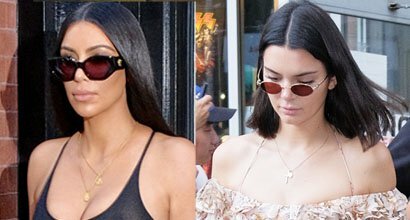 Made from glossy patent-leather, this pair has a wide strap and oversized buckle embellished with sparkling Swarovski crystals that matched the model’s sunglasses. As their name suggests, these pumps are particularly suited to the kind of nights when you might end up on the dancefloor. Made from black suede, this high-heeled pair is cutaway along the sides to frame the shape of your foot, and decorated with light-catching crystals at the pointy toe. First spotted on the Spring ’18 runway at Paris Couture Week, these boots are made from supple black leather in a slouchy silhouette that’s cinched with wraparound elasticated bands. 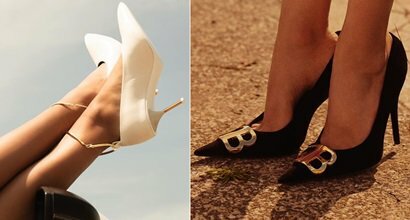 The pointed toe and 110mm heel are embellished with tiny crystals to reflect the glamorous ’80s mood of the collection. 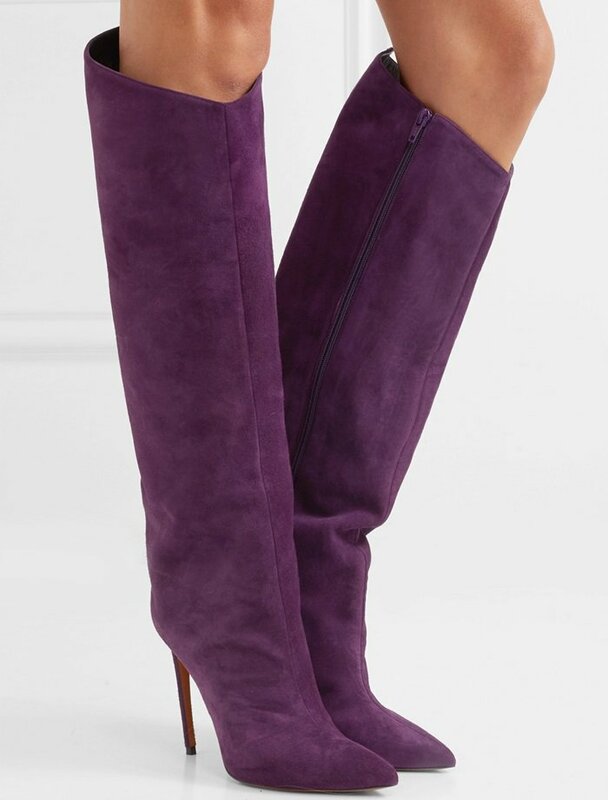 Violet is woven throughout Alexandre Vauthier’s Fall ’18 collection, and the richness of the deep purple shade looks especially striking in suede. Made in Italy, these boots are designed to hit just below the knee and have high stiletto heels. If you have a big event or party coming up, Alexandre Vauthier’s ‘Yasmin’ sandals are the perfect choice (but you’d be forgiven for simply wanting to wear them around the house). 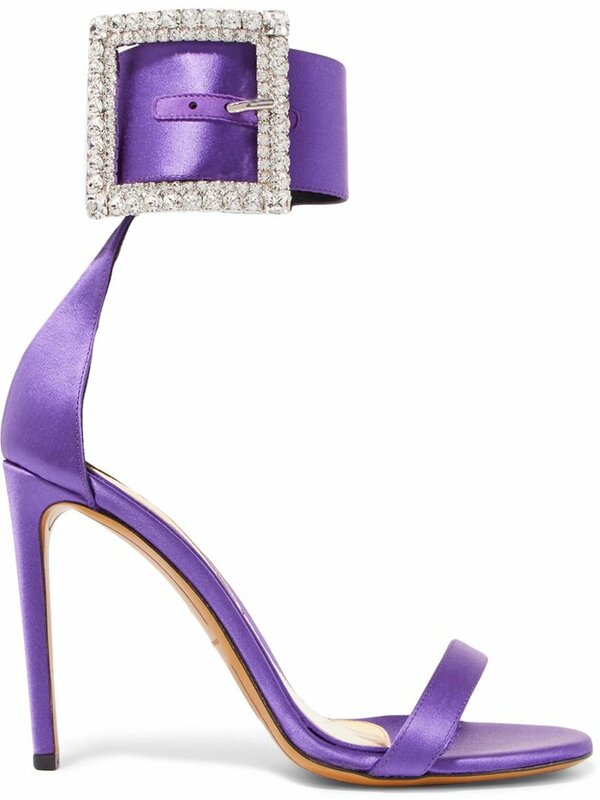 Exuding ’80s glamour, they’ve been made in Italy from purple satin and feature a glistening Swarovski crystal-embellished buckle. 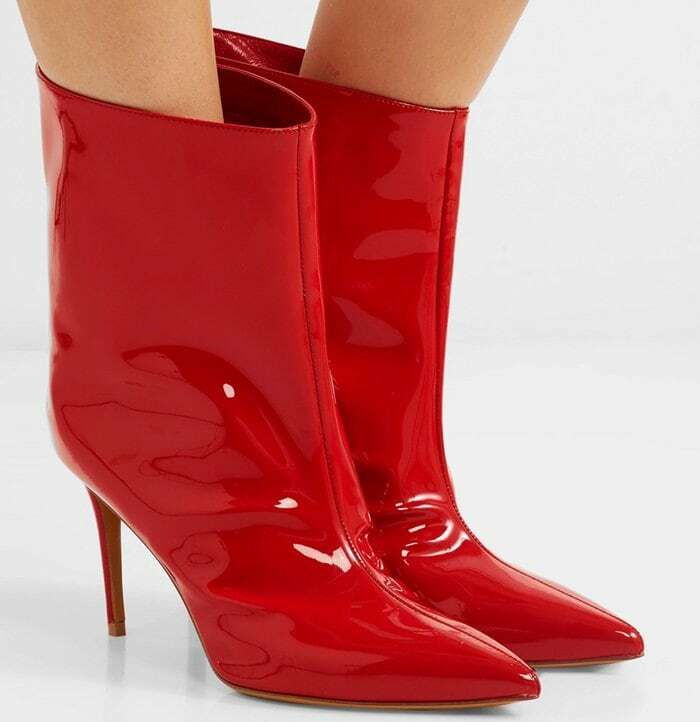 Alexandre Vauthier’s pointy ‘Alex’ ankle boots have the same ’80s vibe as the brand’s Spring ’18 couture collection. 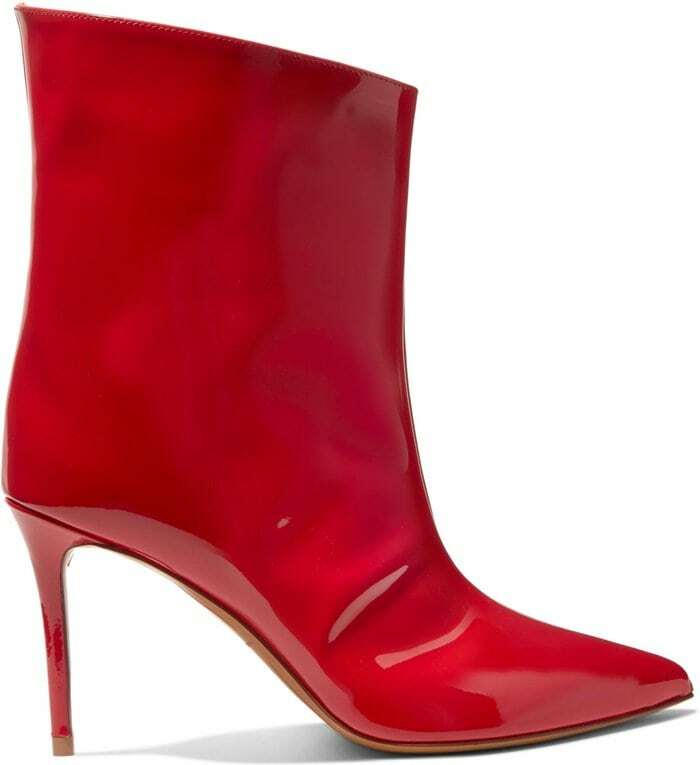 They’ve been made in Italy from bold red patent-leather and have a pin-thin 90mm heel. Rendered in a vivacious red hue, the suede design has been crafted in Italy with expert attention to detail. 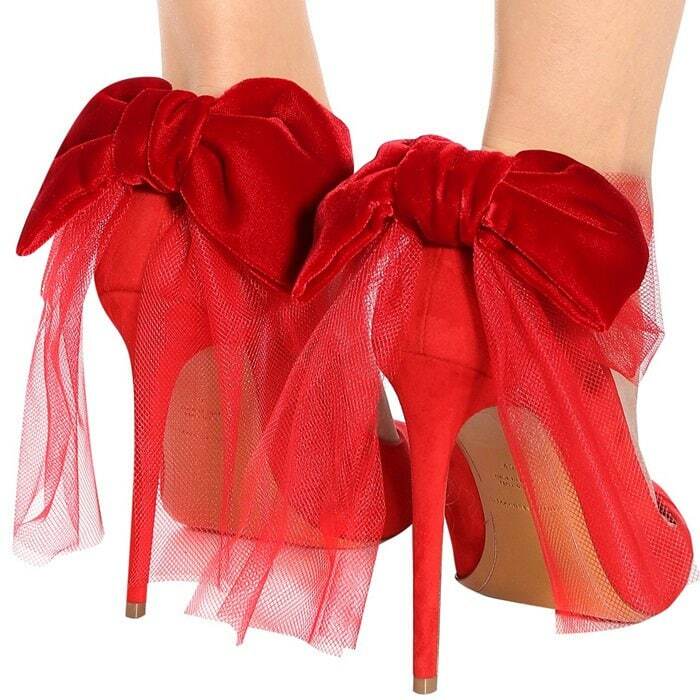 A plush velvet bow and tulle detailing cinch this style with glamorous effect.